Catastrophic nuclear accidents like Chernobyl and Fukushima are much more likely to happen than previously thought. The Institute has made calculations based on the operating hours of all civil nuclear reactors and the number of nuclear meltdowns that have occurred, scientists have calculated that such events may occur as frequently as once every 10 to 20 years. The figures are based on the current number of reactors. The calculated RISK FACTOR is some 200 tines greater than previously estimated. The researchers also determined that, in the event of a major accident, half of the radioactive caesium-137 would be spread over an area of more than 1,000 kilometres away from the nuclear reactor. Their results show that Western Europe is likely to be contaminated about once in 50 years by more than 40 Kilo Becquerel of Caesium-137 per square meter. The International Atomic Energy Agency defines an area as contaminated when radiation reaches these levels. 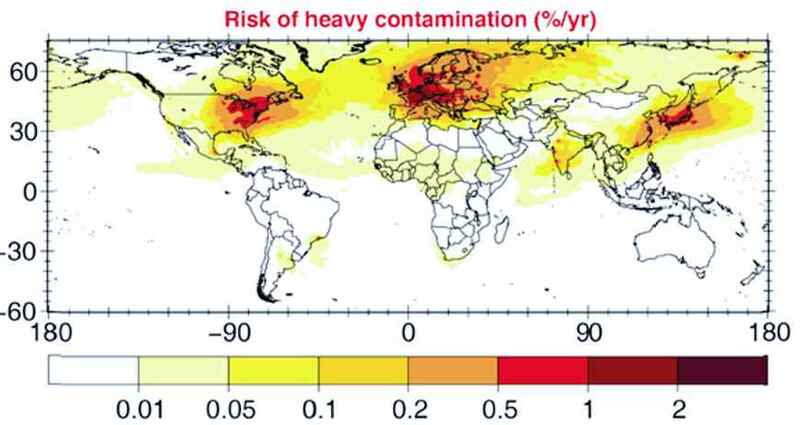 Because of the implications and in view of their findings, the Max Planck researchers are calling for an in-depth reassessment of the risk levels associated with nuclear power plants.